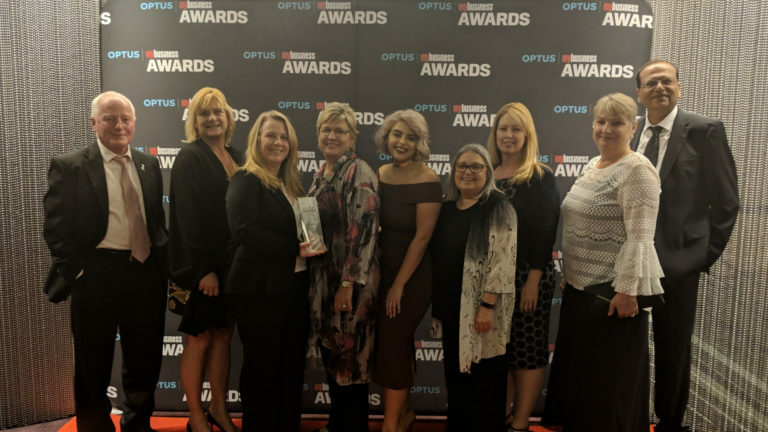 Evolve Housing, a leading community housing provider, has been recognised for its sustainability program at the national Optus My Business Awards. Evolve Housing won the Sustainability Program of the Year award at a black tie awards dinner on Friday 9 November at The Star, Sydney. The award was received for its Evolving Green Energy Action Initiative, which also recently won in its category at the 2018 Western Sydney Awards for Business Excellence. The program focuses on reducing energy costs for Evolve’s low-income residents by installing energy efficient equipment such as solar PV panels and heat pump hot water systems on selected properties. Upgrades were also made to Evolve’s Parramatta office, and the common areas of its residential buildings. Evolving Green included an educational component, with free energy saving workshops and exclusive electricity deals offered to residents. The program has achieved amazing results since it was launched in May 2017, delivering potential annual savings of up to $859 per household to residents, and saving 745, 000 kWh of energy per year – the equivalent of taking 217 cars off the road. Evolve Housing Managing Director and CEO Andrea Galloway said she was humbled that Evolve Housing received the award, especially given the 9 other strong finalists in the category. “I am delighted that Evolve’s efforts in sustainability have been recognised on a national scale, and even more delighted that our program is helping residents and the environment every day,” Ms Galloway said. “We know that one of the big-ticket items in any family budget is the cost of energy and this is especially true for our residents who are mostly low-income earners. “The savings our residents make on power bills can be spent on basics like food, transport or other bills, and I hope the success of our program will inspire others in the community to think about how they can live more sustainably,” she said.